Following growing interest in the idea of a basic income in the Netherlands over the past year, the feasibility of local pilot projects to investigate basic income is being considered in more than 30 Dutch municipalities. The City of Utrecht, the fourth most populated City of the Netherlands, has attracted a lot of attention recently – including at an international level – with the early announcement of their launch of a pilot project later this year. Although the program is far from being ready and its specifics are far less radical than they sound, the good news is: Utrecht might just be the tip of the iceberg of a massive wave of local experiments in the Netherlands. 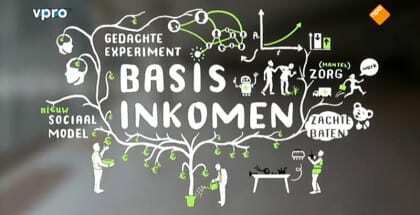 Currently there are 30 Dutch municipalities interested in running basic income pilot projects. Among them, the cities of Utrecht, Tilburg, Wageningen and Groningen are the most advanced. These developments are the fruit of many people’s efforts. They are also the outcome of an unprecedented wave of awareness about basic income in the Netherlands, following the broadcast of two Dutch documentaries about basic income. Sjir Hoeijmakers, a young econometrician, helps stakeholders interested in experimenting with the idea of a basic income at a local level. He follows up with all interested cities, advises them, and tries to create synergies between them. 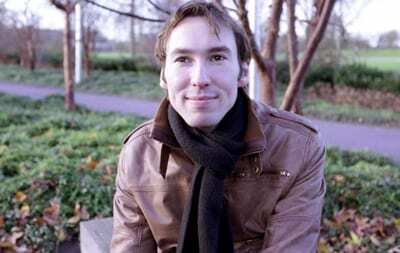 Hoeijmakers crowdfunded his own ‘basic income’ a few month ago, so he could afford to dedicate himself into the coordination of pilot projects ideas in the Netherlands. “Most of the people starting these initiatives are looking for an alternative to the current social security system, which is perceived as being based too much on distrust in and control over welfare recipients.” explains Sjir Hoeijmakers. According to him, most of the initiative for local pilots comes from people working inside the municipal administrations, but some also come from academics or are citizens’ initiatives. “What is most interesting and a very good sign is that the initiatives come from people with all kinds of political backgrounds, and are often depoliticized.” . But what are those experiments about exactly? Despite the media enthusiasm about Utrecht becoming soon “the first city without poverty in Europe”, the reality is of course slightly less utopian. The experiments will mostly focus on people who are already welfare claimants in the Netherlands, and particularly beneficiaries of the national minimum income system, which is means-tested and conditional. It is also not paid on an individual basis, but assessed by household. In fact, those experiments mainly have two major differences with the current system: they aim at making social assistance less conditional regarding work requirements, and will aim at removing the poverty trap by allowing people to earn extra money on top of their social allowance. However the schemes being considered so far remain household-based, means-tested and therefore non-universal. In fact, these schemes are similar to the concept of negative income tax which in the 1970s, was the basis of experiments in the United States. “These experiments are not exactly basic income, but they go in that direction” insists Sjir Hoeijmakers. Basic Income Network in the Netherlands agrees too, and regards these initiatives as possible milestones on the path towards a fully unconditional basic income. This approach has a fundamental advantage: since the target groups are already receiving welfare money, not much extra funding is needed from the existing budget to run these experiments. This would be a different story if all of the city’s residents were included. International media outlets such as The Independent and many others have extensively reported on the case of Utrecht, reporting that the experiment could start as early as September. Sjir Hoeijmakers admits to being surprised by how much coverage the city of Utrecht is getting right now. Despite the media excitement, the numbers of people and the amounts to be given aren’t fixed yet: there are only approximate numbers up till now, and they don’t necessarily give a good picture of what will be done. The Utrecht experiment as currently planned, would work with 5 groups, only of which one would get something close to a basic income (no withdrawal if there is extra earned income, no further conditions). A sixth group who stay living under the current welfare system will act as a control group. Each group will have a minimum of 50 people, and the 900 and 1300 euros aren’t exact figures but indications of how much might be paid. Several political parties openly support the experiments, including the green-left, the liberal-democrats, and some among the labor and the socialist parties.